I thought that this might be of use to anyone looking for an authentic issued Bund strap. Seeing those photos of various Bund watches recently posted reminded me that I'm still not quite satisfied with the straps on my three Bund watches - Hanhart 417, Junghans J88 and Heuer 230. Never too keen on Bund straps, I've tried an 18mm Di-Modell Tornado on the Junghans and some very high quality Sinn 156 straps (20mm) on the Hanhart and Heuer - I bought the last three Sinn had in stock. The Junghans has 19mm lugs with sharp edges so unfortunately you can't fit a 20mm or the edges of the lugs cut the strap. So, as ever in pursuit of perfection, I'm going back to 19mm Bund straps for these three watches - I prefer to have my military watches on straps as authentic as possible. (I'm guessing that these straps were issued in 19mm because of the lug width of the Junghans?). I have a good quality one which arrived on the Heuer and I bought one from Timefactors some time ago which was apparently made by one of the original manufacturers but is of poor quality - the underside looks like plastic. The new Timefactors effort is no good as it has that name on the back and as I said, I wasn't impressed with the old one. I have the links for the two original makers - Graf and Eulit - but the sites are in German and they only seem to sell to the trade. Broadarrow and Jurgens seem to sell the same "issued" versions but both seem expensive, particularly Jurgens, and Broadarrow are sold out. In addition, they look the same as those sold by Nilsen, which are 1/3 to 1/2 the price. So I have bought the last two 19mm straps Nilsen had in stock and which will hopefully be the same as or similar quality to the one the Heuer arrived on. Anyone else have any thoughts, or better still, want to sell me three original issued Bund straps? Original issued BUND straps are like the proverbial hens teeth, in fact, so rare today that they might be just a myth. No really, they are very hard to find and are probably only attached to a BUND issued watch in someone's collection. The problem, which you've touched on, is that there is a proliferation of BUND style straps being sold today with a Versorgungsnummer stamped on them but that's where the connection to an authentic BUND strap ends. As far as I know, original issued BUND straps were 19mm, black leather three piece, open-ended, and had a kind of antique looking buckle. You see very few of these as they pre-date the 1980's Bundeswehr issued watches with 20mm lug width. There have been various different strap makers who have made straps over the years which have actually been issued to the German Bundeswehr (as opposed to the millions of 'BUND' straps which are currently available). The only company that I am aware of who are currently producing straps for the BW are Eulit. Graf used to also, but I'm not sure if they still do. The Eulit strap is slightly different from the previous BUND straps. It is 20mm, black, closed end, and has a thicker and wider pad. 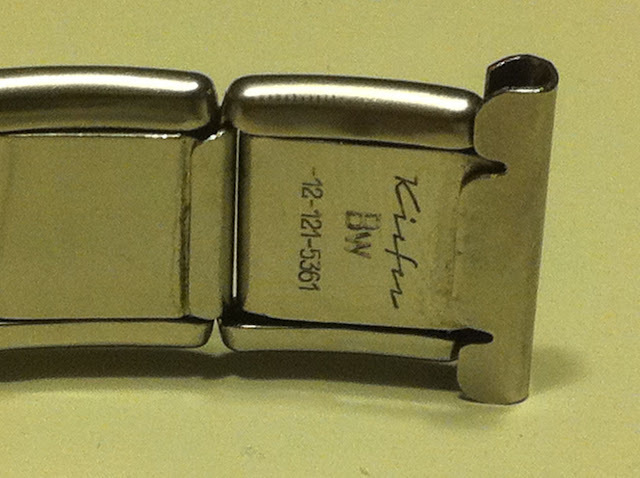 This reflects that fact that more recent BW watches have had wider lug widths and no fixed bars. Until very recently you could buy the same BUND issued straps from both Graf and Eulit as were supplied to the BW, however, in the last year or two this has changed and is no longer possible. You can buy the same strap without the VSN but only through a retailer and not direct from the company. 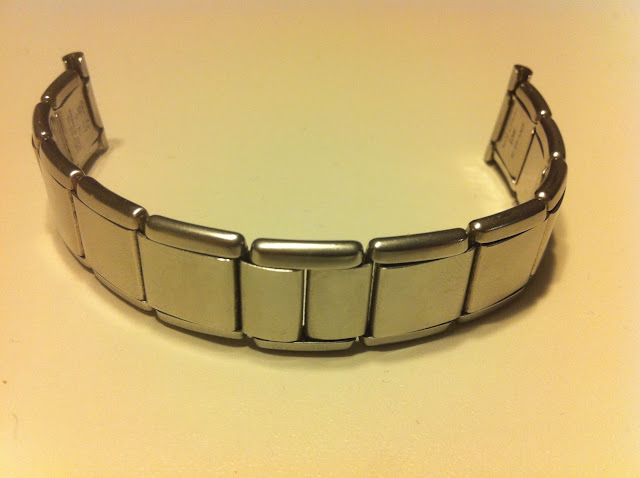 I have seen some Eulit straps floating about with the VSN on them and it is my guess that some watchmakers may be able order a strap from Eulit with the VSN. I also have some of the Timefactors straps, and in my view the dimensions of the 19mm BUND strap are very close (possibly identical) to the original... but while it is fine for everyday use, I agree that the quality is not fantastic. The Jürgen's straps BUND is very close to the original spec but my experience with these is that they are (i) far too expensive, and (ii) of the several I've had, the quality varied in an unsatisfactory way. I know that Guinand (Helmut Sinn's company) also sell a BUND strap. 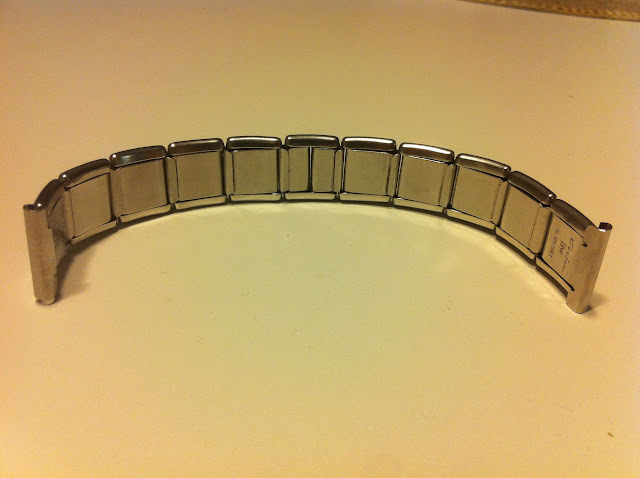 I have one and it is similar in dimension to the Timefactors strap but is of higher quality. Its a nice strap but like an original issued strap. Have a look here. (NOTE: if its not good ATG etiquette to post links like this here, please let me know and I'll delete it). Finally, I have seen a few BUND straps recently that I couldn't quite place in terms of their origin, but they looked nicer than the run-of-the-mill. 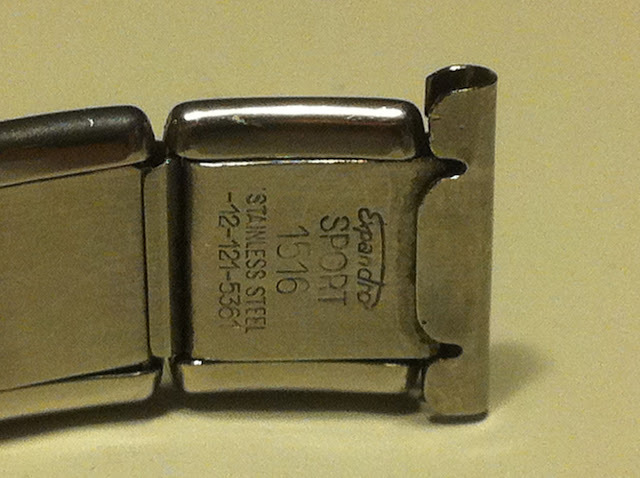 In my view, the quality and dimensions of the straps are by far more important than an 'authentic' VSN stamped on it. Yes, that's the strap. As I understand it, it is this strap which is currently officially supplied to the Bundeswehr, and is the same strap that could, until recently, be ordered from Eulit by the general public. This strap without the Bundeswehr VSN is still available, but only through a retailer, and its a pretty good strap, IMO. Last edited by flugzeit; 19-11-2010 at 17:30. I though the Junghans should be worn on a 12-121-5361 . I just received mine last week and I just can't wait until the watch arrives. Next question is: How on earth do you size this? That Eulit certainly looks to be a high quality strap. Similar to that strap is the current Tutima Bund strap. It's a closed-end strap, as well. Very good quality (though probably not better than that Eulit), but outrageously expensive. It has the NSN stamped on it, but is also marked "Tutima", if I remember correctly. All markings are on the bottom (wrist) side, of course. I had one for a brief spell, and it was nice. Anyone know if the strap I mention actually comes with current BUND issue Tutimas?